H.R. 5050 - The Women's Business Ownership Act was passed in 1988 with the help of the National Association Women Business Owners (NAWBO). H.R. 5050 addressed the needs of women in business by giving women entrepreneurs recognition, resources, and by eliminating discriminatory lending practices by banks that favored male business owners. What is H.R. 5050: Women’s Business Ownership Act? The Women's Business Ownership Act was passed in 1988 with the help of the National Association Women Business Owners (NAWBO). The Act was created to address the needs of women in business by giving women entrepreneurs better recognition, additional resources, and by eliminating discriminatory lending practices by banks that favored male business owners over female. The bill was signed into law by President Ronald Reagan. Established the Women’s Business Center program. H.R. 5050 eliminated all individual state laws that required women to have a male relative sign a business loan. H.R. 5050 required the creation of the National Women’s Business Council (NWBC). This bi-partisan council consists of women entrepreneurs and women's organizations that advise the president, Congress, and the Small Business Association (SBA) on policy and program recommendations. In 1992, the number of women business owners was only 26%. By 2002, that number increased to 57%. Although more women choose to start their businesses with their own private finances, having equal access to business loans has enabled scores of women to start and grow their businesses – without having a man co-sign! In 1989, there were only four Women’s Business Centers in the U.S. Today, there are more than 100 throughout the nation. Congress, however, voted to decrease funding to women’s development centers and in 2009 no new centers are being funded. H.R. 5050 helped empower women with impressive women-owned business statistical results to prove it! 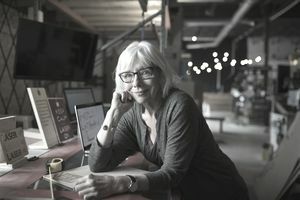 Although some of these legislative changes may seem small, they have had a huge and dramatic impact on the number of women starting – and successfully maintaining – their own businesses. Over the past twenty years, since the implementation of H.R. 5050: The Women Business Owner’s Act has helped women to start and grow privately-held businesses at nearly twice the rate of all other businesses. Additionally, 10.4 million women now own their own business – a number that has not only increased, but thanks to H.R. 5050, women who own C corporations are also now being counted.